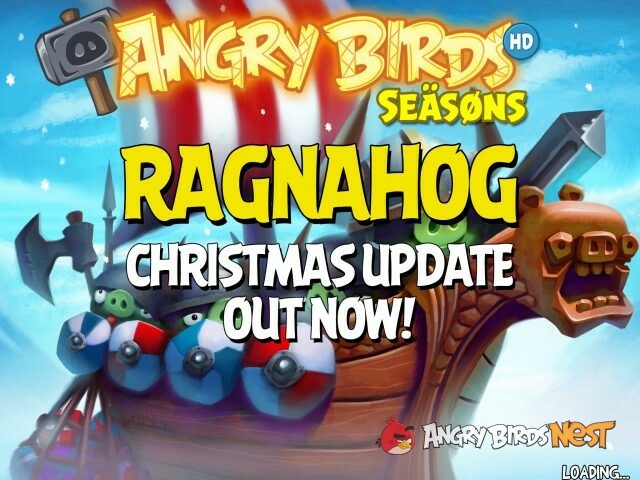 Angry Birds Seasons Ragnahog Christmas Update Out Now! Oh no, Viking Pigs are attacking. 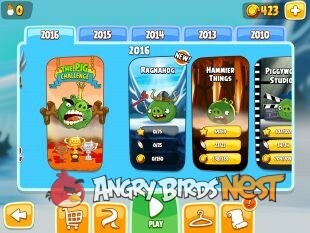 Help our feathery heroes fight off the Viking Pigs in the new Angry Birds Seasons episode – Ragnahog. The update is out now for iOS and Android. In the dead of winter, green-snouted banners unfurl in the arctic wind. In the distance, a lone slingshot rises to answer the Viking Pigs’ call for battle. It’s a new advent style episode: Ragnahog! Play a new level every day December 1-25 (walkthroughs coming soon). If you lack patience, you can pay $1.99 to play all 25 levels instantly. New Golden Eggs! 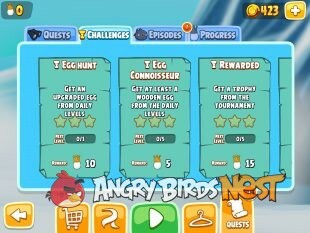 2 hidden in levels and the “Thor’s Hammer” Golden Egg. Terence’s Nordic cousin Tony visits for the holidays! 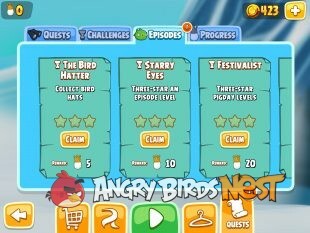 Nav: Home »News » Angry Birds News & Updates » Angry Birds Seasons Ragnahog Christmas Update Out Now! What is that egg counter for? When I first updated everything was working fine, but after closing the app and pulling it up a second time, I lost all my prgress. 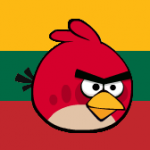 I reccomend you don’t download this update until Rovio releases a patch. That’s definitely very strange. When I updated the App and opened it a couple times after the first time, I still have everything in my progress. Sure, it crashed one time when I selected one of the older levels (Trick or Treat), but afterwards, my progress is still OK and everything is going smoothly (since I can access the older levels without fuss. But still, I sorry that you lost your progress. There is one minor gripe I have with seasons, aside from the Winter Wonderham Theme Change. When is Rovio going to be aware that the volcano island in the sunset background of the first 13 levels of Tropigal Paradise & one of the golden eggs is missing? Here’s something else to note- the theme song for Winter Wonderham has been changed to an instrumental version of Fly Me Home Tonight. Yes I agree, the advent event with a Christmas theme is being missed by some, including myself. It appears they now have transitioned away from the holidays and winter themes. The old Christmas games were much better. 2010 to 2013 were Seasons Greedings, Wreck the Halls and Winter Wonderham. In 2014 they started to shy away with Finn on Ice, Ski or Squeal in 2015 and Ragnahog this year. Christmas is a world wide holiday and doesn’t have to be religious so I wish they continue with the Christmas themes. They are releasing lots of new content this year! I was afraid they might not release an advent episode but thankfully they did. I was a little surprised and dissapointed they didn’t include the wrecking hammer. In some of the ABF levels a while back, Thor’s hammer would fall from the sky if you got all the glowing runestones which I thought was a pretty cool feature. Why aren’t these updates in the Amazon App Store? It seems only Google Play has it. That is NOT where I originally downloaded Seasons. Crashes repeatedly. So frustrating that every Seasons update continues to crash and burn. Oh dear. That didn’t happen to me. But still, I feel bad for you Roberta. If restoring your device doesn’t help, then hopefully Rovio will provide a fix soon (especially if you take the time to send them a Support Request). Disable your wifi, then launch the app. The new levels from ragnahog may not be there but this can be fixed by a simple relaunch. You only need to disable your wifi once, afterwards it should work all the time. I do like to point out that as of this update, all previous episodes & other content are no longer stored in the cloud. I still have al my progress, but what I mean is that wih 6.6.0, now you don’t have to touch every single episode & Pig Day level set and wait for the cloud downloads anymore. As for using coins to pay for new levels, I am not sure if that has changed. But I will say that by collecting 600 Eggs you’ll get in a new costume for Stella plus “All Exclusives”. I believe that once you become a Master of All Seasons, all exclusive costumes that you’ve missed out on are yours. P.S. Angry Birds Transformers’ 1.22.4 update has new content, including new sparks to promote your transformers for better scores in challenge events, upcoming contet for Christmas 2016, & most importantly, Bomb playing a role as Wheeljack. Good luck to unlock Wheeljack (if he’ll be available via events). Hopefully, Wheeljack will be availble via token trade in a challenge event (most likely for Christmas 2016, due to Wheeljack’s white, red, & green paint scheme) & won’t be an expensive in-app purchase like Dead End was (I managed to get Dead End by the way). So I went to Google Play to download, but it still says Hammier Things is the latest, although the description tells about Ragnahog. Tried downloading 3 times, still is Hammier Things. The app keeps crashing, I can’t open it on my iPhone. Any ideas what to do? Working fine on my IPhone 7 plus- new outfits are pretty cool looking Found one golden egg but not the other . Did anyone find both yet? I feel like an idiot. What snow globe? It’s in one of the 6 snowballs between the 2 pigs on the left & the ice the building stands on. Ok. Dear American Guy, i’m not native so small issues happen when i write. 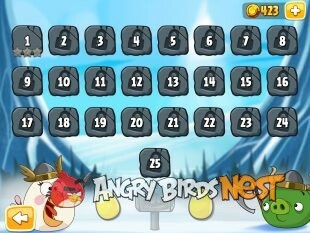 I do not see a snow or ice globe in level 1-21! Game works fine for me, is anyone else able to unlock the next level after 3 starring the first one, has worked for all I’ve gotten through so far, but seems odd cause it says to wait for the next day or pay, and this defeats the point of it. Either way I’m enjoying the new levels. It is sort of like an Advent calendar- each day a new level until Christmas. I spent the $1.99 to unlock now. I noticed the same thing today when I’m inadvertently hit the levels icon instead of reset. I am now up to level 10 ando haven’t paid a cent. Rovio must be ingredients big time because I was tempted to pay. every time I start the game, it crashes on me!!! Tony ?…. the other cousin was named Terry I think…. is this a different cousin?…. with different ability ? @tmax, there never was a Terry. Tony was introduced in the On Finn Ice advent episode back in 2014. Other than that, this is a pretty creative/innovative (innocreative?) pulled off by Rovio just in time for the holidays. Merry Christmas to everyone! Yes on 12 on the ground. Where is the one in 21? Would not go to 2nd day level. Uninstalled and re-installed and now all my past scores are zeroed out. But it will play the 2nd day level. I give up on Angry Birds everything. Rovio has it all screwed up where it wipes out saved scores on a re-install. They NEVER should have abandoned the computer versions. I’m not a power up player. I must tap back on in game button. It appears that you can advance through all the levels of Ragnahog without waiting or paying. Complete a level, then go back to the level selection field. The next level in the series is available for play. Is everyone else seeing this also? No. This doesn’t work for me. 3 starred all level because of this bug. After complete a level, press menu button to go back level selection, next level will available to play, do not go back to main title, it will lock back all level. And must have internet connection to do this. So what does the name Ragnahog relate to? Oh, and did you know, those horned helmets, they are just a modern myth. Loads of Viking helmets are recovered, none whatsoever with horns. 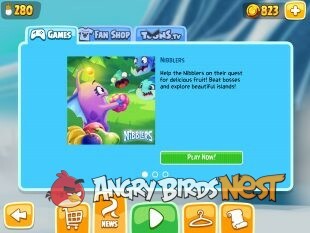 Rovio should know better. 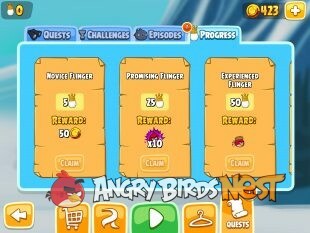 Since the update with Ragnahog in Angry Birds Seasons I have lost all my previous progress in the other levels. Some of them are still there but with less stars. For instance Piggywood Studios has gone back to the beginning and I had completed nearly all of them. The same happened with Go Green Get Lucky, I had three stars in all of these and had even got the pot of gold at the end, but this has asked for a new download. This is all very frustrating! Alright, I am super ticked off with Seasons and the update. First, I could not not get it to update. When I finally got it to update, all my scores back to 2010 were zeroed out. I tried reinstalling it several time and somehow my scores magically reappeared, but not for long. The next time I started the game after a power off all the scores were gone again. I have to have the WiFi on to get the new level everyday in Ragnahog. Well, guess what happened. I started up level 12 and all of a sudden a video of the Star Wars Rogue One trailer wants to play and it CRASHED and dumped out of the game. So I restarted the game and the sound is gone. I tried this several times with no joy. No Sound. I had to completely uninstall Seasons and reinstall it. ALL scores from 2010 on up are ZERO. And all my Ragnahog scores are ZERO. My tablet runs Android 4.4.1 KitKat. Seasons says 4.1 or above is needed. 6 years of scores are gone. Mighty League scores are gone. Ragnahog scores are gone. Hammier Things scores are gone. Piggywood Studios scores are gone. Summer Camp scores are gone. 2015, 2014, 2013, 2012, 2011 and 2010 scores are gone. I have no idea how to recover the scores on an Android tablet because apparently ALL the saved data is erased with an uninstall and clean install, unlike on a PC where I knew where the saved game data was and could recover it on a clean install. 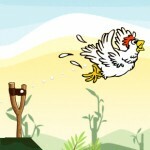 I am SUPER P’d OFF with Rovio and this game. I am considering doing a complete factory reset to this tablet and throwing it away! ROVIO! PLEASE! Reconsider compiling the game for a personal computer again! Windows and MAC. I have the game running again, but no scores at all. Once Ragnahog is completed again at Christmas, that is the end of it. I will wipe the tablet and tablet and trash it. How does one attain three stars in Thor’s hammer? Wondering if there will be new advents themes following Ragnahog? Im an old school AB lover. Terribletom on Angry Birds Friends 2019 Tournament T602 On Now!